We’ve all gone through the excitement of stepping onto campus for the first time as a college student. And along with this excitement, we all have experienced the dread of moving into your dorm while hundreds of others do the same. So why not take this opportunity to lessen the burden on the incoming students and families while also meeting great candidates for Chi Psi?! And after all the movings done, ask all the people you’ve met to have a friendly game of ultimate frisbee in the quad. Food – burgers, hotdogs, etc. 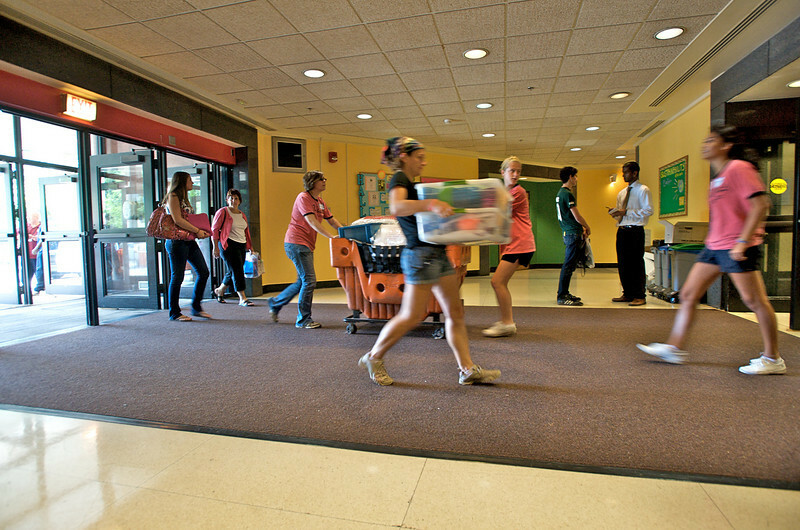 Tips to Remember:Be social and outgoing while speaking to new students and their parents! 2 days out- Decide what location after move-in would be most convenient to have an ultimate frisbeee game. Day of- Don’t forget frisbee and be ready to have a lot of energy and enthusiasm throughout the move-in!